Have you ever had the urge to walk out on your life – to stop and start again? Californian John Dybvig has made a habit of it. He’s travelled the world, changing jobs more than 100 times in search of happiness. He’s done everything from coach professional sport to acting roles in Hollywood blockbusters. He’s left a trail of broken relationships but finally found true love to become a dad at 50 and a house husband at 60. The Crazy Lives of John Dybvig is his collection of books in which he shares the twists and turns of his amazing life – stories that will always make you laugh, sometimes make you want to cry and could make you wonder about your own life and where it’s going. Follow this larger-than-life lunatic as he rampages through the United States, Australia and New Zealand in a quest for contentment. 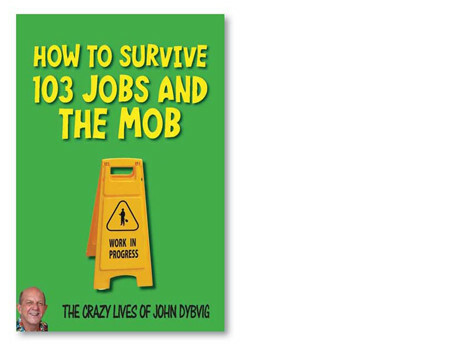 How to Survive 103 Jobs and The Mob is Dybvig’s side-splitting account of his ability to land weird jobs in any part of the world – working with everyone from child actors to professional wrestlers, and selling everything from miracle cures to Californian accents. Other books in this series are How to Survive as a Sports Jock with Attitude, How to Survive Travel as a Loud American, How to Survive Being a New Dad at Fifty, How to Survive as a Big Actor with Small Parts, How to Survive Falling in Love on the 3rd Strike and How to Survive as a D-List Celebrity. The entire series (with bonus chapter) is available in a single ebook collection – The Crazy Lives of John Dybvig. * Some of the stories in this series have also appeared in our print memoir of Dybvig’s chaotic life, The Two of Me. ‘John is a great writer. Honest!’ – Graeme Hill, Radio Live. 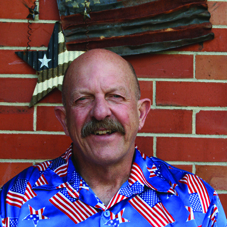 John Dybvig is a writer, broadcaster and actor who coaches speech and basketball (usually against his best judgement). He’s often described as the loudest man in New Zealand. He lives in Auckland.